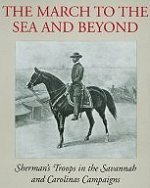 After the Tullahoma Campaign, Rosecrans renewed his offensive, aiming to force the Confederates out of Chattanooga. 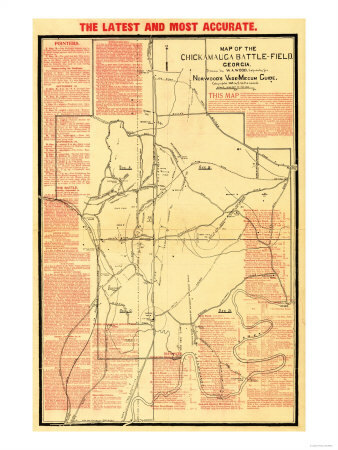 The three army corps comprising Rosecrans' s army split and set out for Chattanooga by separate routes. In early September, Rosecrans consolidated his forces scattered in Tennessee and Georgia and forced Bragg's army out of Chattanooga, heading south. The Union troops followed it and brushed with it at Davis' Cross Roads. 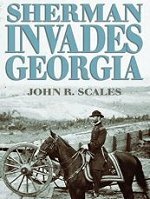 Bragg was determined to reoccupy Chattanooga and decided to meet a part of Rosecrans's army, defeat them, and then move back into the city. On the 17th he headed north, intending to meet and beat the XXI Army Corps. 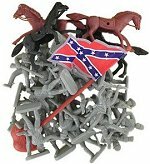 As Bragg marched north on the 18th, his cavalry and infantry fought with Union cavalry and mounted infantry which were armed with Spencer repeating rifles. Fighting began in earnest on the morning of the 19th, and Bragg's men hammered but did not break the Union line. 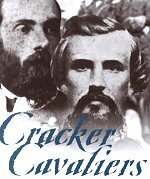 The next day, Bragg continued his assault on the Union line on the left, and in late morning, Rosecrans was informed that he had a gap in his line. 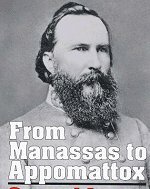 In moving units to shore up the supposed gap, Rosencrans created one, and James Longstreet's men promptly exploited it, driving one-third of the Union army, including Rosecrans himself, from the field. George H. Thomas took over command and began consolidating forces on Horseshoe Ridge and Snodgrass Hill. 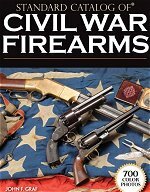 Although the Rebels launched determined assaults on these forces, they held until after dark. Thomas then led these men from the field leaving it to the Confederates. The Union retired to Chattanooga while the Rebels occupied the surrounding heights. 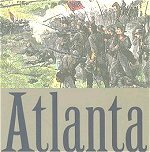 Sherman Invades Georgia takes advantage of modern planning techniques to fully examine what went into the Georgia campaign. 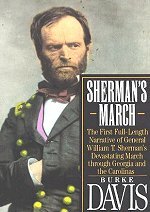 Unlike other studies, though, this one puts the reader squarely into the mind of General Sherman on the eve of his most famous military undertaking—limiting the information to that possessed by Sherman at the time, as documented in his correspondence during the campaign and not in his after-the-fact reports and autobiography. 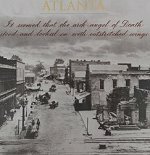 Utilizing regimental histories, historian Hirshon offers a sympathetic yet excellent biography of one of the more noted Civil War generals, best remembered for burning Atlanta, cutting a swath of destruction across Georgia, then creating total destruction in South Carolina, including the burning of Columbia. Hirshon gives us an insight into how Sherman's own troops felt about him and his relationships with fellow generals, especially Grant. 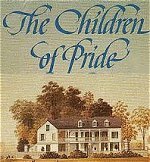 The author not only describes Sherman's role in the war but also details his early life and family problems. 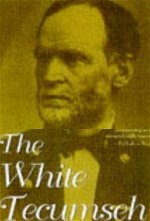 The latter part of the book deals with his life after the war, especially with the Indians in the West as well as his relationships with Presidents Johnson and Grant. 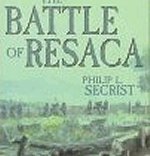 The books are full of eyewitness accounts of battle, camp life, campaigning, and camraderie with some humor thrown in. Each book gives accounts by the soldiers themselves, and that's what makes these books so great! The books also have battle maps are divided into sections. 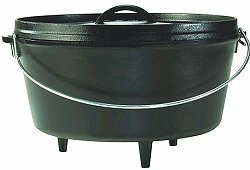 Each section tells about a part in the campaign. At the begining of each section there is an introduction to the campaign.